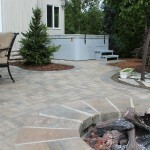 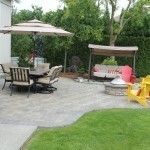 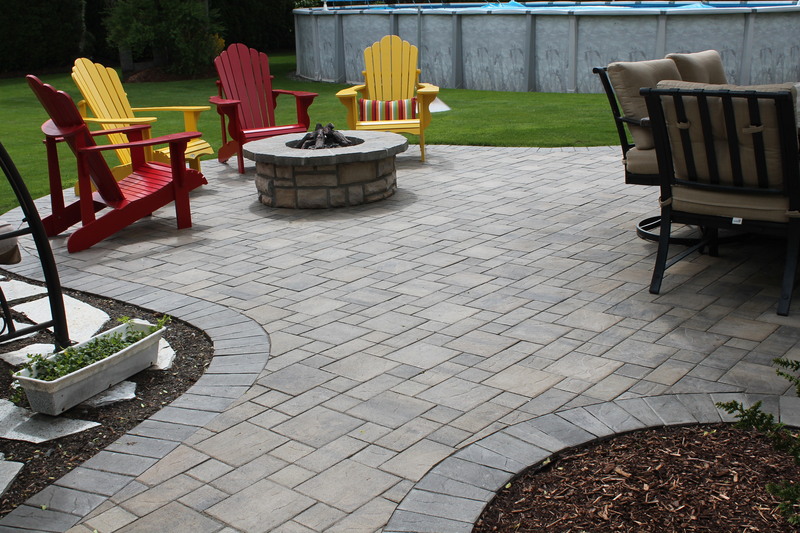 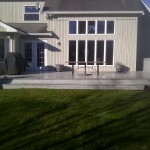 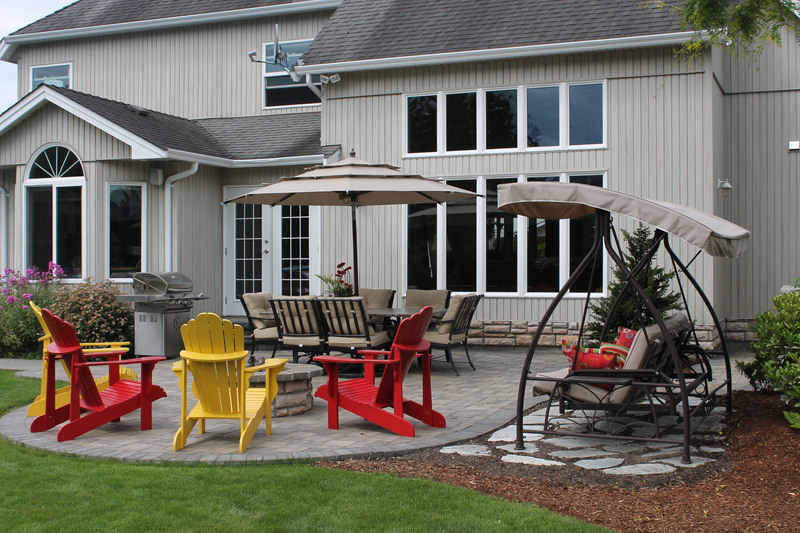 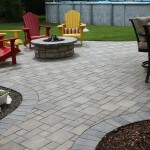 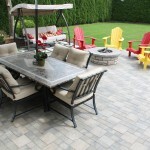 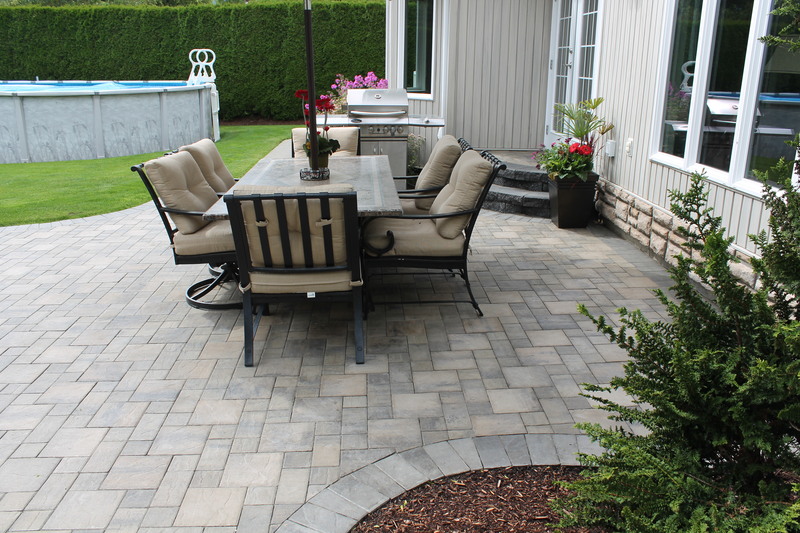 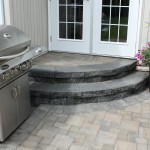 Deveau Backyard | LawnPro Landscapes LTD. 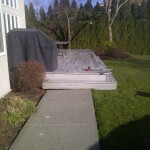 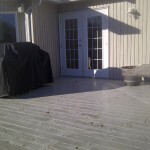 Norm and Catherine Deveau had an old wooden deck that was rotting away and needed a new solution. 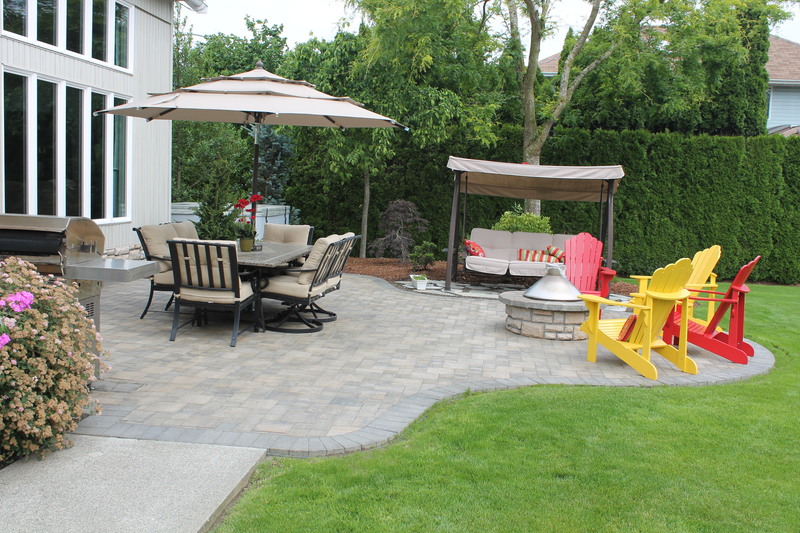 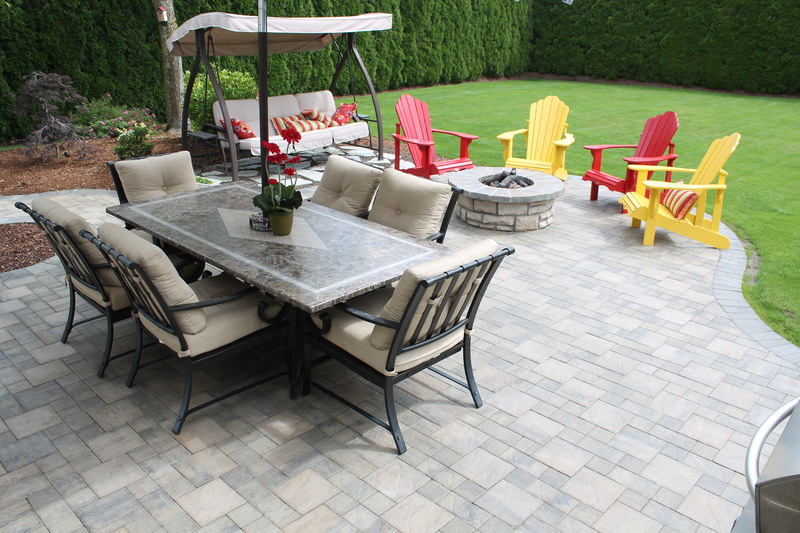 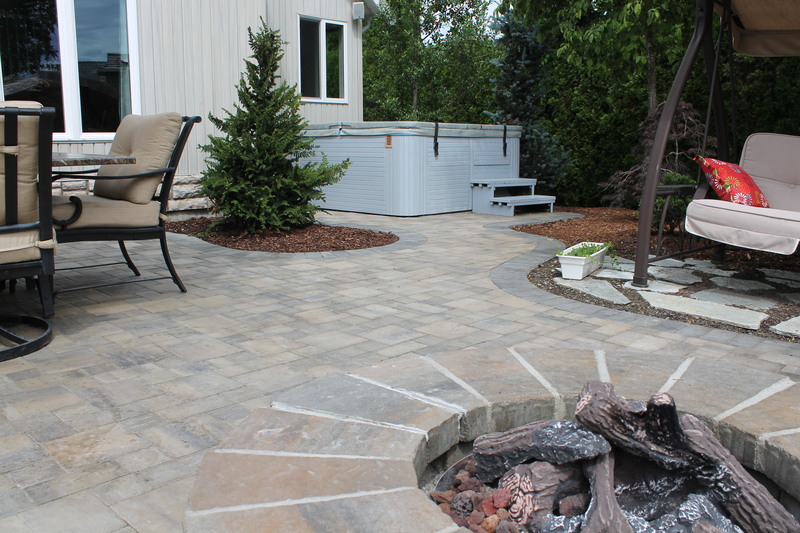 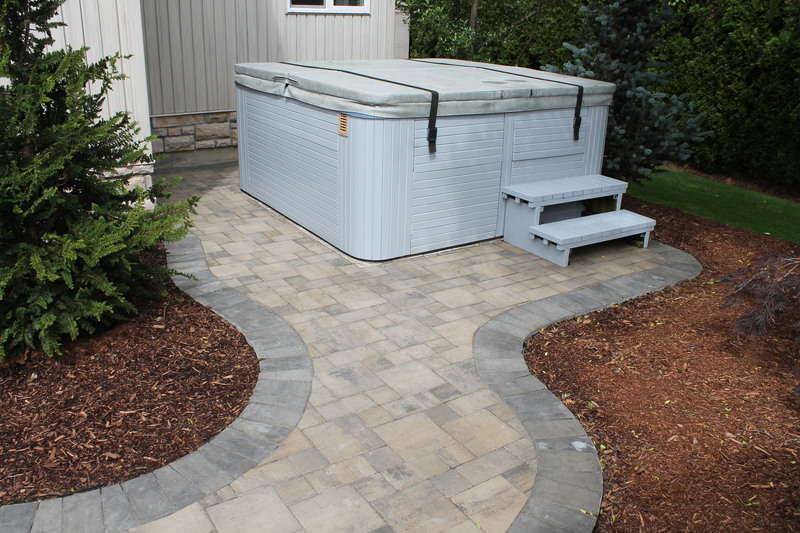 LawnPro Landscapes LTD designed a new paving stone patio layout that complimented their existing hot tub, gave them enough space for entertaining dining and provided a spot for their outdoor gas fireplace. 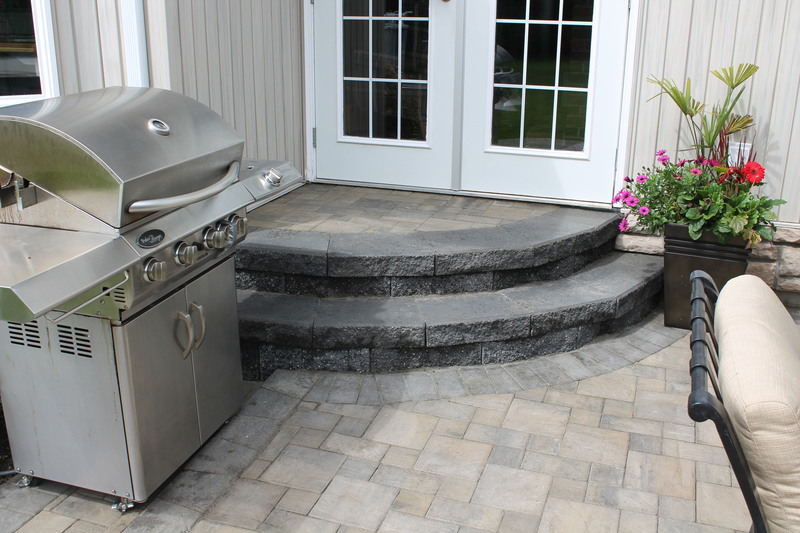 We developed some stairs to match the new paving stone and provide safe access into their kitchen, even with a full tray of food. 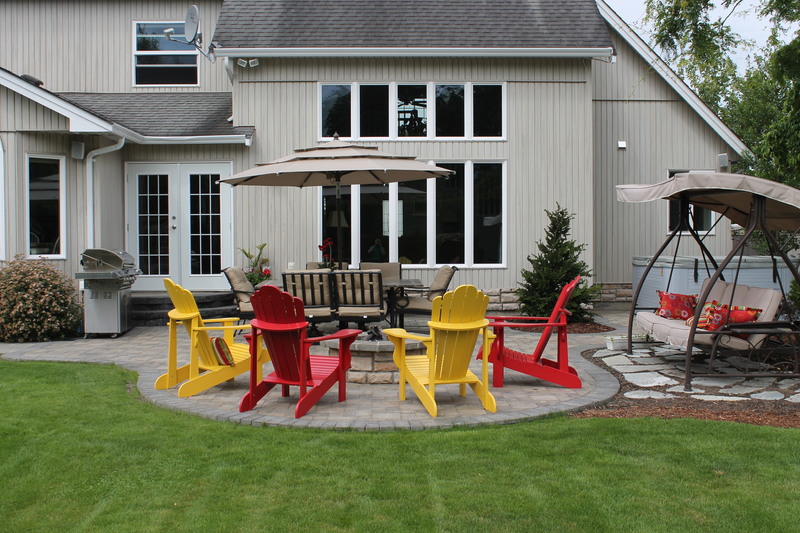 Additional flagstone was added to a garden bed for the perfect spot to read and swing in an outdoor chair. 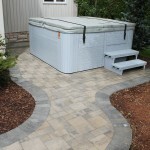 Several plants were added to beautify the area and provide privacy for the hot tub.